Why Are We Still Asking if Women Can ‘Have It All’? A recent issue of The New York Times Magazine featured a story on Wendy Davis, the Texas state senator who is now running for governor. 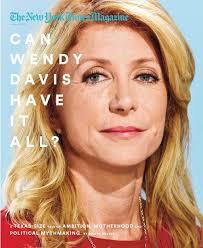 Splashed across the cover of the magazine was the question, “Can Wendy Davis Have It All?” The headline – and the article, which included a detailed examination of Davis’ personal life, including her role in raising her two daughters – drew criticism, and was called everything from outdated and clichéd to outright sexist. The question of “having it all” – which goes beyond a conversation about simply achieving work-life balance and asks whether or not women can be “good mothers” and also maintain successful careers – keeps coming up. From Facebook Chief Operating Officer Sheryl Sandberg’s recent book “Lean In: Women, Work and the Will to Lead,” which encourages women to abandon the “myth of having it all,” to Anne-Marie Slaughter’s controversial piece in The Atlantic, “Why Women Still Can’t Have It All,” the ongoing debate brings up some intriguing questions about gender. Why are we still using this trite catchphrase to scrutinize women’s personal and professional choices? Why are women held to such a different standard than men in this regard? And is this debate specific to the Western world? For an expert perspective, we reached out to Usha Menon, PhD, an anthropology professor in Drexel’s College of Arts and Sciences, whose research and teaching interests include gender relations, women’s well-being, family dynamics and concepts of the self. 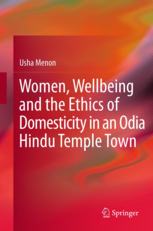 Her most recent book, “Women, Wellbeing and the Ethics of Domesticity in an Odio Hindu Temple Town”, examines a group of women in India who are living traditional, sequestered lives but have found satisfaction and empowerment in this form of domesticity. Menon’s personal story makes her contributions to this conversation all the more interesting. Having grown up in India, she received a bachelor’s degree in economics from Lady Shri Ram College for Women and a master’s in anthropology from Utkal University in Bhubaneswar, Orissa. She then lived away from her husband, whom she was arranged to marry by her parents, and her children, for seven years while she pursued a doctorate in human development from the University of Chicago. Her family later joined her here in the United States, where she taught anthropology at Pitzer College in Claremont, Calif., prior to joining the faculty at Drexel. Why are we still asking this question about whether or not women can “have it all”? And is this debate universal or specific to women in the West? So first we have to ask what “it all” is – is it what men have? I think part of the problem is that no one is willing to stand up and say that men don’t have it all either. Many men spend a lot of time away from home and don’t have strong relationships with their children. But society has placed such value on men having careers that we accept that they have to make sacrifices for it. But for many women, they feel that there is some kind of primary, fundamental duty that they owe the home and family. Many men have missed their child’s first step, first word, first smile, but were praised for making sacrifices for their career. But for many women it’s a huge sacrifice to give up those experiences with their children because they feel that they are supposed to value that more. If men were to stand up and say we don’t have it all either, then maybe women would realize that life is always a series of compromises. Who can have it all? And if you can have it all, would you have time to enjoy it all? This attitude is something very American. 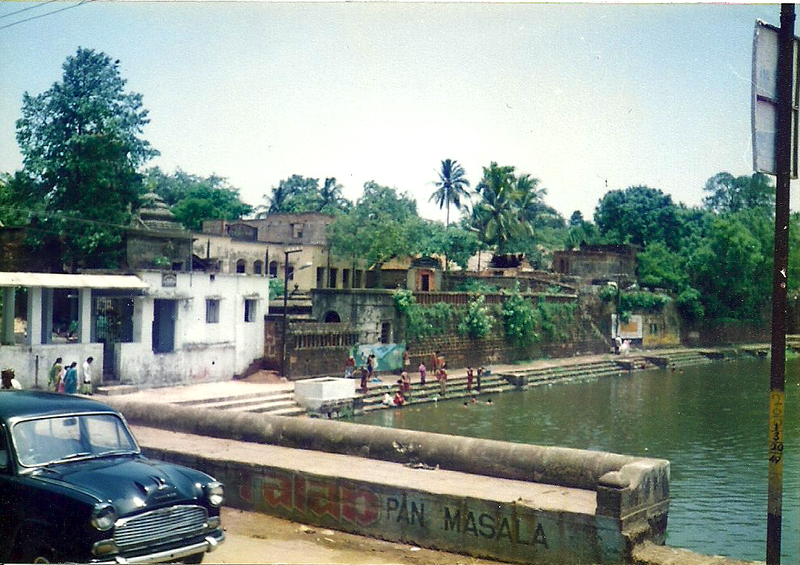 In India, Mrs. Gandhi was likened to a goddess, the goddess of war, people were afraid of her. No one asked what type of a wife or a mother or a daughter she had been. It was the same with Mrs. Thatcher in England. I don’t know what it is about the American media and electorate that they keep asking this question. Despite how far we’ve come regarding gender equality, why does it still seem like there is such a double standard? Western culture has particular values. Men and women are evaluated differently, even 50-60 years after the second wave of feminism. I think that is what Wendy Davis’ story shows: even today, the standards of evaluating men and women are different. It’s not so much a matter of equality of opportunity or equality under the law, it’s this idea of social approbation – it is so different for men and women, especially when it comes to politics. In that sphere, it’s a referendum: people are voting for you, so it comes down to a political opinion poll that you are taking about a particular person. For example, think about Hillary Clinton and the scrutiny she is subjected to, from her pantsuits to her hair to her laugh. What does all that matter in regard to what kind of a leader she is? No one cares about Obama’s laugh or asks if he’s too thin or if he’s a good father. Similarly, Wendy Davis is not evaluated as [Republican nominee for governor] Greg Abbott is evaluated. No one is asking if Greg Abbott is a good father. Unless a man is an absolute deadbeat, no one really asks those questions. Wendy Davis has tried to run on her bio in some sense, so that might be part of why people are so focused on it. She talks about how, at 19, she was living in a trailer park and then pulled herself up by her bootstraps and so on. So she’s giving fodder to the conversation. I don’t know why she made that so central to her platform – maybe she thought it would appeal to Texas voters. But I don’t think it’s helping to put this conversation to rest. You have a career and a family. Did you feel pressure to “have it all”? I definitely didn’t have it all. I had to make major sacrifices and my husband and children made sacrifices. I was away about nine months out of the year for seven years. I missed my children’s teenage years completely. So many of their experiences, I missed. Did that make me a bad mother? No one – no reporter, no voting public – gets to say whether or not a woman is a good mother, besides her children. If your children think you’ve been a good mother, then you’ve been a good mother. 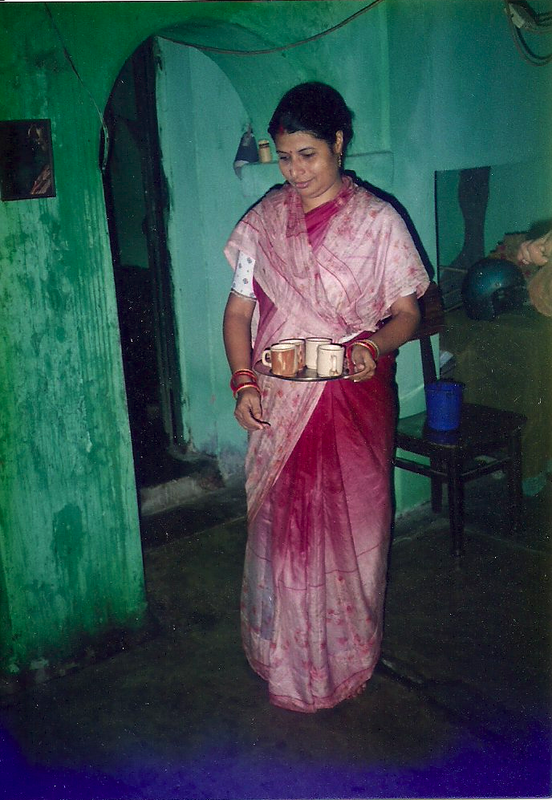 In your book, you examine a group of upper-caste Hindu women who find fulfillment in managing their homes. They are not career women, but yet are living satisfying lives despite their domesticity. Are these women “passive victims” of their situations or “empowered individuals”? 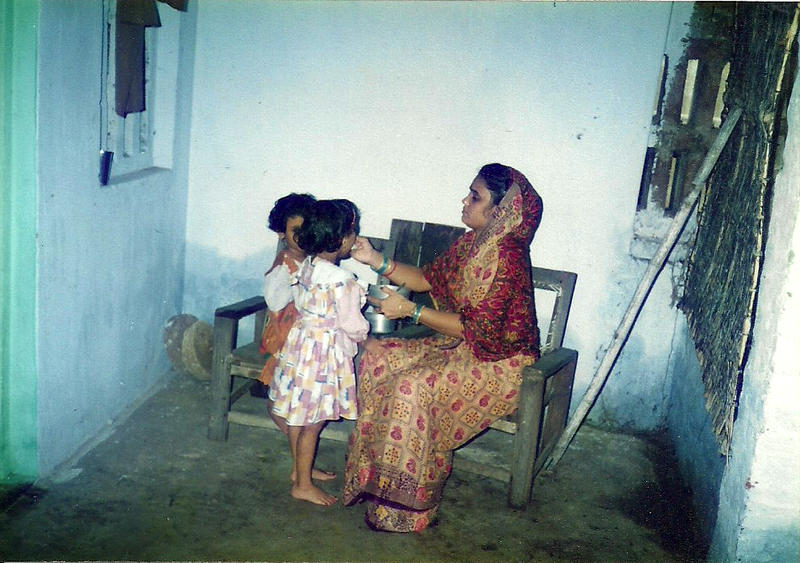 Before I answer that, it is important to understand the context in which these women live their lives. First, it is important to recognize that these women belonged to the upper-most caste, so they were seen as socially and ritually superior. The whole idea of purity and pollution is a very important concept within Hindu culture, so this group is considered very pure. They are brought up thinking that there is something special about them because they belong to this community, but at the same time, the kind of lifestyle these people live is very disciplined, there is a lot of self-control that is exercised. For them, nature is seen as something that is crude and course, human beings are supposed to refine nature, by eating particular kinds of foods, by participating in particular kinds of practices, etc. Refinement and self-discipline are very important. From an outsider’s perspective, their lives seem to be very restrictive, but from their own point of view, they see restrictions as necessary for refining oneself – it’s a very different worldview. Marrying by choice and for love, for example, would be considered “giving in to crude nature.” So you are giving in to your passion and in that process you are becoming cruder, you are becoming more like an animal. Many women won’t even look at a photograph of the person they are going to marry because to do that would be to let your human passion control you. All of us, they believe, lead contingent lives. You can’t choose who you are born to, the class you’re born into, which ethnic group you’re a part of – there are many, many things that are outside your control. But they also believe that you can alter yourself; that human beings are malleable. You can adjust to any circumstance. The idea is, your circumstances may not be good, but you can alter yourself to fit the circumstances and then you will be happy. This is a very different attitude to that in the West, where if you’re in an unhappy marriage, you get divorced. For the women I studied, if you’re unhappy in a marriage, you try to change yourself so that even this unhappy circumstance can be made to be minimally okay. Instead of altering the world around you, you try to alter yourself because that is within your control. Additionally, the whole idea of choice is very different. They don’t see choice as very important because they see much of life as given. Also, giving in to choice is seen as giving in to your own human passions and that’s not viewed as a good thing. You have to know the whole context in order to understand how these women are living satisfying lives. They don’t see independence as freedom, they see it as sad because you are all alone. They are aware of Western ideas – they watch Oprah – but they don’t see it as desirable. So, yes, they do see themselves as empowered individuals, rather than passive victims who need to be liberated, because they are in control of themselves. They also find empowerment through their relationships with other women – you have relationships with your mother, your sisters, your sisters-in-law – so you don’t put as much pressure on your spouse to be an ideal mate who can meet all of their needs, as we do in the West. In the Indian context, you care for your spouse, but you don’t expect them to be everything wrapped up in a single package. So are the women you studied really making individual choices, or are they just products of their culture? That goes back to this whole feminist idea of ‘false consciousness.’ For example, feminists would claim that non-Western women such as the women I described earlier are all victims of false consciousness, that their culture is making them do all these things and if they really enjoyed true consciousness, then they would know how oppressed they are. But all of us belong to particular cultures. So none of us can stand outside of our own cultures and say, I can see what is really true. All of us are cultural products. None of us are free of false consciousness. Western feminists are as much victims of false consciousness as anyone else. Your book seeks to expand feminist discourse as part of the growing literature in “third wave” or “multicultural” feminism. What does that mean? In the group I researched for my book, there was very little gender equality or freedom of choice. Multicultural feminism involves looking at these women in the concrete context of their lives to see how they derive power from particular relationships and things like that. Liberal feminism claims that all women should be equal to men – but that never happens anywhere. In the group I studied, for example, age is very important; age is the axis of difference more than gender. Older men and women have control over younger men and women. Multicultural feminism aims to put the idea of gender aside and look at all of these other axes of difference that are there. Members of the news media who are interested in speaking with Menon should contact Alex McKechnie at ahm62@drexel.edu or 215-895-2705.